Though the existence of manuscript works has been recorded since the monastery was founded in the 11th century, it was in the 12th century that Montserrat established its own scriptorium, which was particularly active in the 14th and 15th centuries. The establishment of a printing press here by Abbot Cisneros in 1499 was decisive in furthering the Monastery’s cultural mission. The library collections continued to grow and diversify throughout the 17th and 18th centuries. According to the records, its shelves held thousands of books. However, the most tragic moment in its history came during the Napoleonic Wars when, in 1811, the Monastery was destroyed and most of the library’s treasures were lost. The library as it stands today was founded in the late19th century and grew particularly under the abbacy of Father Antoni M. Marcet (1913-1946) when, in just a few years, the library’s collections rose from 15,000 volumes to around 150,000. Later, acquisitions ceased or were made more difficult, firstly due to the Spanish Civil War and later by the Second World War. Over the last few decades, however, the number of volumes in the library has doubled. Particularly outstanding are the sections on philosophy, theology, Bible studies, patrology, liturgy, music and art history. 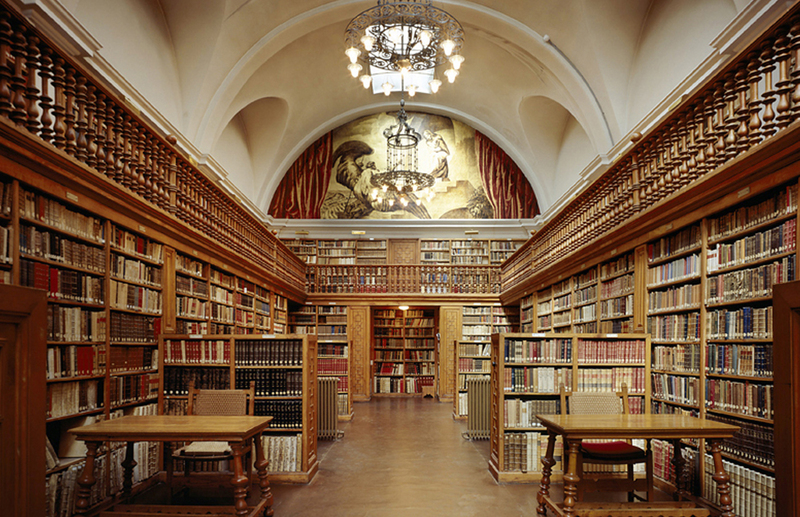 The library also contains excellent sections on universal general history, particularly medieval and European, as well as the history of Catalonia and the countries of the Crown of Aragon, with an important collection of works devoted to local history and the Spanish Civil War.